A distraught young woman reaches out to her ex-boyfriend for help in tracing her kidnapped daughter, but her husband, and everyone that knows them, insists the couple had no child at all. So is she imagining things, or is there more to it? That intriguing premise, of Baaghi 2, is buried under an avalanche of mediocrity – needless romantic backstory, too many songs, corny humor, an entirely pointless item number, cringey performances, frequent lapses of logic, and a disappointing reveal. Even Tiger Shroff’s built-like-a-tank physique can’t rescue this movie from its own gargantuan stupidity. Tiger stars as Ranveer Pratap Singh aka Ronnie, committed army officer and lean, mean, killing machine, who’s been weeding out the bad elements in Kashmir when he gets a call from Neha (Disha Patani), urging him to come to Goa immediately. In attempting to uncover the mystery of her daughter’s existence and possible disappearance, Ronnie finds himself in contact with all manner of colorful Goa characters including a used-car dealer with a ‘side’ business (Deepak Dobriyal), a hippy, chillum-smoking cop who loves taking selfies (Randeep Hooda), a sympathetic DIG (Manoj Bajpai), and of course Neha’s husband (Darshan Kumar), and her drug-addict brother-in-law (Prateik Babbar). 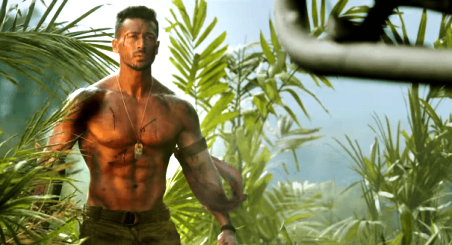 It’s hard to feel anything other than sheer frustration watching Baaghi 2, given how the filmmakers have squandered the potential of the central idea. This remake of the 2016 Telugu hit Kshanam is weighed down by a flawed script, and frankly by ‘mis-direction’ on the part of director Ahmed Khan. What could easily have been a tight suspense story is stretched into an overlong, one-size-fits-all 90s potboiler with equal helpings of romance, comedy, action, and melodrama. Turns out, it’s a recipe for a mess. And don’t even get me started on Jacqueline Fernandez’s ‘updated version’ of Ek do teen! It’s one of those zero-impact things that made me want to crawl under my seat out of embarrassment for her. But of course much of the film rests on the shoulders of its able-bodied leading man, and Tiger Shroff doesn’t disappoint…not in the action portions, he doesn’t. We get scenes in which he pummels bad guys to a pulp, dangles from a rope while spraying bullets, and at one point, leaps off a cliff into a helicopter hovering mid-air. 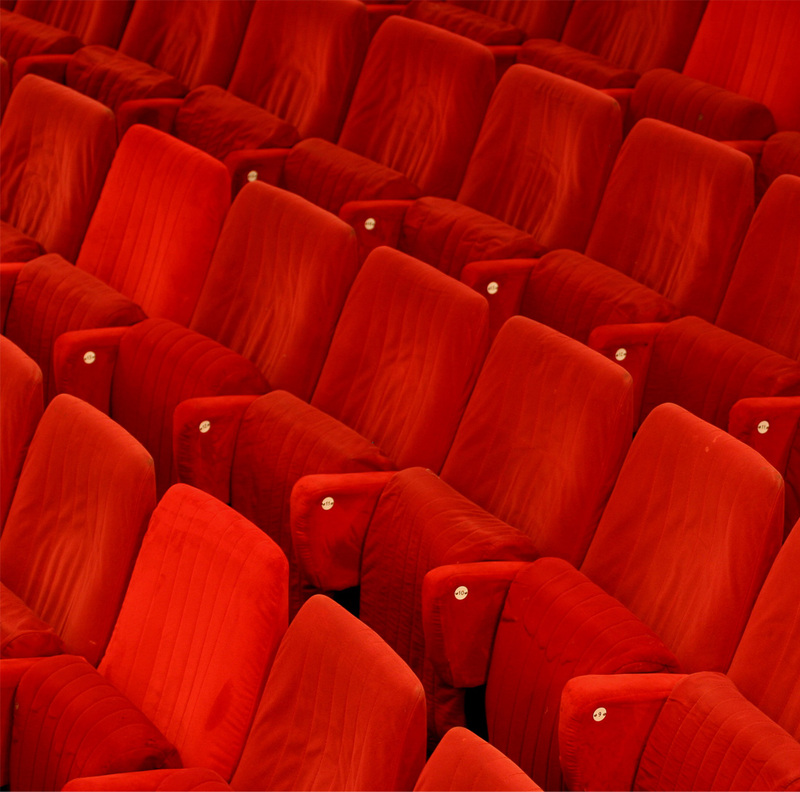 There’s a real thrill to some of these moments, but the action scenes seem to go on and on until you’re all worn out. His acting, however, is still raw, especially in the emotional and dramatic bits, although he brings an earnestness that is mildly endearing. Of the remaining cast, Disha Patani is easy on the eyes but little else, and the generally charming Prateik Babbar is in full ham-and-cheese mode. Even Manoj Bajpai is largely wasted. Only Randeep Hooda has fun with his role as the Jack Sparrow-resembling policeman that goes by the moniker LSD. But any and all promise is ultimately short-lived, as the script comes undone in the end with a twist that is underdeveloped and underwhelming to say the least. It’s so lazy, in fact, that it’s not even true to the film’s own logic. I’m going with two out of five for Baaghi 2. It’s got its moments, but that’s all there is.